Come and join us for one of our courses. Our courses have been designed to give you top tips and a whole heap of knowledge that you can take back to your home and practice. Whether you want to improve your cooking skills or be a better gardener we know you will come away from the day feeling motivated and inspired. Click the boxes below to find out more details on each course and remember to book in quick as places are limited. Places are limited on all courses so please book in advance to avoid disappointment. We look forward to seeing you at The Falls Retreat. Come and join us for one of our Cooking workshops. Our courses have been designed to give you top tips and a whole heap of knowledge that you can take back to your home and practice. Whether you want to improve your cooking skills or get some hot tips and we know you will come away from the day feeling motivated and inspired. 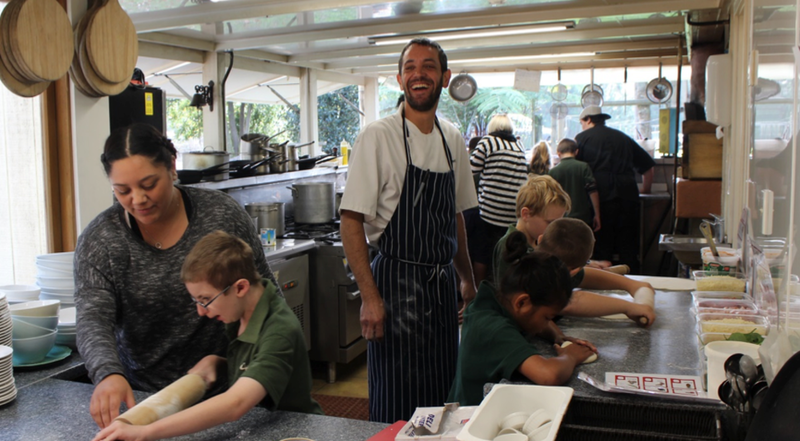 A range of interactive all day workshops led by award winning chef, Brad King and designed to educate and inspire you! From $150pp includes morning tea, full lunch and take home notes and recipes. Come and join us for our Masterclass in Pickling & Preserving. This is the first masterclass in the “Sustainability Series” promoting cooking from scratch, eating seasonally and looking at the paddock to plate ethos. Come and enjoy our cooking class on pickling and preserving. Identify fruit and veggies from our organic gardens and learn how we utilise excess seasonal produce to create our own range of pickles, chutneys, jams and sambal. 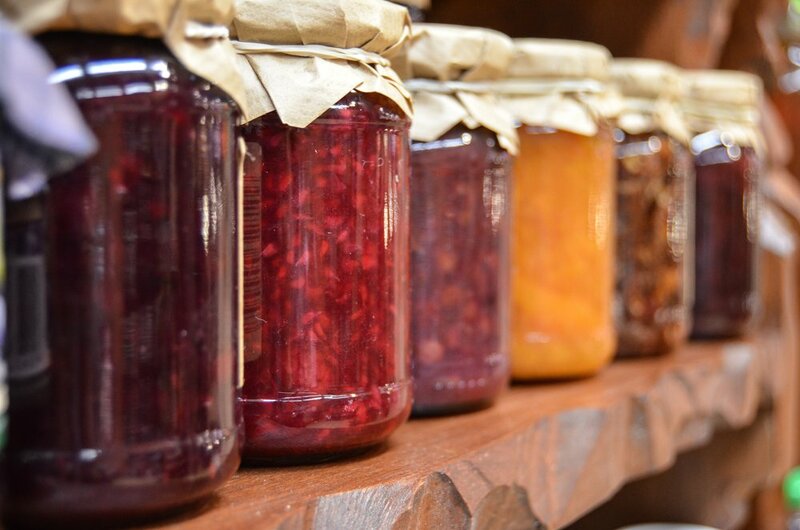 Brad will cover the types of fruit and vegetables that can be preserved, what blends of vinegars and herbs to use when you pickle and his top tips for successful jam making. - Recreating one of house made pickles and how to utilise this in your every day cooking at home. What to bring: Just yourselves and some enthusiasm! If you book all 4 of cooking classes in the “Sustainability Series” you will receive a $50 discount. 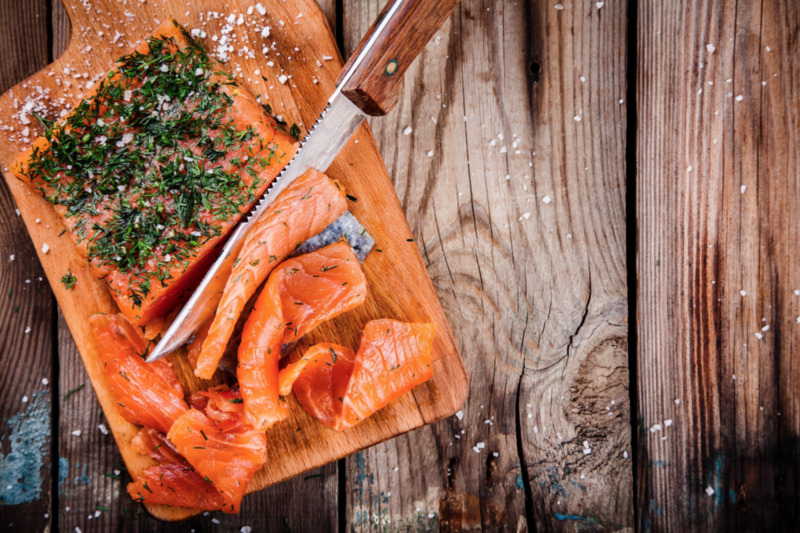 Come and join us for our Masterclass in Curing, Brining and Smoking. This is the second masterclass in the “Sustainability Series” promoting cooking from scratch, eating seasonally and looking at the paddock to plate ethos. Come and join us for our Masterclass in Fermenting. This is the third masterclass in the “Sustainability Series” promoting cooking from scratch, eating seasonally and looking at the paddock to plate ethos. Fermenting is a simple process but it needs to be done correctly, and in this workshop you will discover how we can manage microbial bacteria to produce highly nutritious food. Learn more about the fermentation process and why it’s so important to our health. We will show you how to make your own fermented vegetables and drinks at home to enjoy great gut health. Come and join us for our Masterclass in Pasta Making. This is the fourth masterclass in the “Sustainability Series” promoting cooking from scratch, eating seasonally and looking at the paddock to plate ethos. We have been making our own pasta here at The Falls Retreat for years and we have a tried and tested recipe that we will share with you. We will demonstrate and explain the kneading and resting process, show you how to create different types of pasta and cover the different types of tools and equipment required to roll your dough and create your very own pasta. Taste the difference and you will never want to go back to the packet version! Come and join us for one of our gardening courses. Our gardening courses cover a range of information to suit all levels and are designed for both amateurs and the experienced gardener to educate and give you tips and techniques to get the most out of your veggie garden. Run by our resident gardener, Nicki Murray-Orr, who has a wealth of experience and knowledge in all things gardening, each course is fun and offers an interactive workshop in the garden followed by an informal meal in our rustic Bistro barn. Join us to learn more about the basics of edible gardening. Ideal for beginner gardeners needing inspiration and advice! This course is aimed at keen gardeners who have not yet started or are at the early stages of planning their veggie garden. Nicki looks at the pros and cons of raised beds compared to regular garden beds. She discusses the important elements of garden design, including aspect and location, layout, paths, water source and composting. She will also share the basics of her gardening methods and highlight the essentials of soil health, crop rotation and companion plating to get you started. 10am – 11am Gather around in the rustic Bistro Barn to hear Nicki’s advise on getting started and her tips and techniques for growing nutrient dense healthy veggies. 11.30am – Back to the Bistro Barn for a delicious pizza sharing lunch which includes salads using produce harvested from the gardens and a drink to accompany your meal. Nicki joins for you for lunch so this is your opportunity to pick her brains and ask questions which apply to your own garden. Timing is approximate and course content may be subject to change. Cant make this date? You can still register your interest! Want to stay overnight? Why not book some of our stunning accomodation and experience the Falls Retreat HERE. Grow your own amazing crop of healthy organic veggies from seed this season. In this workshop Nicki teaches the fundamentals of propagation so that you can raise your own fruit and veggies from seed or cuttings. Focusing on what can be planted at this time of year, she gives her usual invaluable tips and techniques including planting by the moon, potting on and seasonality. This is a fun and interactive workshop where you get hands on experience in the glasshouse, learning how to get your own seedlings started from scratch to ensure your veggie garden is bursting at the seams this season. 10am – 11am Gather around in the rustic Bistro Barn to hear Nicki’s advice on how to grow seedlings. She will cover all the fundamentals of propagation, including ideas for growing under cover if you don’t have a glasshouse. She will teach you how to grow nutrient dense healthy veggies from seed with tips on planting by the moon, how to handle seedlings, hardening off and seasonality. 11am – 11.30am Head into the Falls Retreat glass house for an interactive session – here you get to see behind the scenes and have a hands on experience with planting seedlings. 11.30am –Lunch which consists of delicious wood fired pizzas and fresh salads using produce harvested from the gardens, plus a drink to accompany your meal. Nicki joins for you for lunch so this is your opportunity to pick her brains and ask questions which apply to your own garden. Contact us to register your interest! Reduce food and garden waste by starting your own compost and worm farm. Aimed at complete beginners or those needing a refresher, Nicki will take you through the fundamentals of how we can use our food and garden waste for maximum output from a compost or worm farm. Covering all areas from why we use them, the pros and cons of different types, recommendations on what works best and the key elements of a creating and maintaining a healthy worm farm or compost. 1pm arrival. Start the day by meeting Nicki and our other attendees and share introductions over a complimentary tea or coffee or cold drink. This is our chance to find out more about your level of knowledge and where you are at with your own compost or worm farm. 1.15pm – 2.30pm Gather around in the rustic Bistro Barn to hear Nicki’s advice on creating and maintaining the ideal compost and worm farm. She will cover the basic essentials of where to site and what types work best, her recipe for creating and maintaining a healthy compost and worm farm and how their output can be used throughout the garden to grown nutrient dense healthy veggies. During this time a selection of tasty nibbles will be served from the Bistro kitchen using our homegrown produce. Nicki is a wealth of information so use this opportunity to pick her brains and ask questions which apply to your own compost or worm farm. Get the most out of your veggie garden this season. Have you got your veggie garden well underway but want to learn about how to produce more this season? Then this course is you! Aimed at those that want to build upon their gardening knowledge , Nicki gives invaluable advice on soil nutrition and focuses on her bio-intensive planting methods and her permaculture model. She will go into detail about the techniques, fertilisers and tools we recommend to get your garden really productive this season. Since applying her methods, we have seen a massive difference in the production of our veggie gardens and now you too can benefit from her skills! 10am – 11am Gather around in the rustic Bistro Barn to hear Nicki’s expert advice, She will share her tips on soil nutrition and the importance of getting this right to produce dense healthy veggies from seed. She will also discuss planting by the moon and explain how her bio-intensive planting and permaculture methods work. 11am – 11.30am Head into the Falls Retreat veggie garden for an interactive session where Nicki will demonstrate the use of her forkster to achieve the perfect soil and looking at the bio-intensive methods used in The Falls Retreat Gardens, enabling her to answer specific questions. 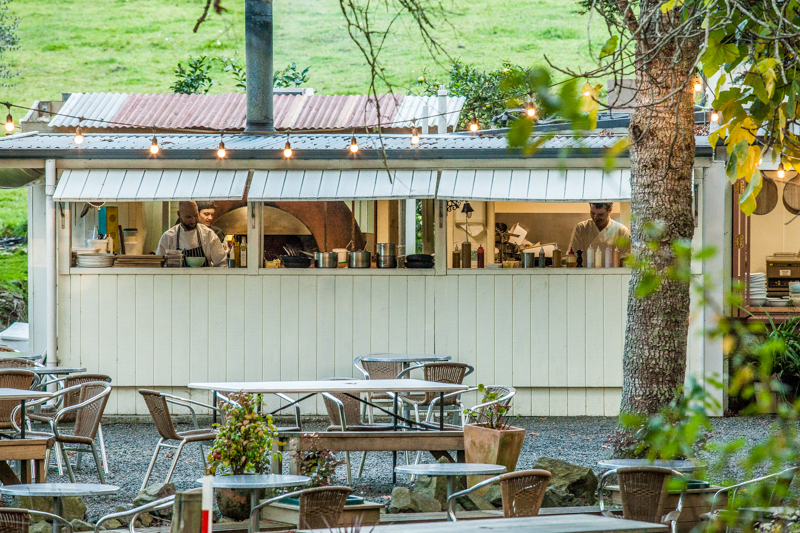 11.30am – Lunch which consists of delicious wood fired pizzas and fresh salads using produce harvested from the gardens, plus a drink to accompany your meal. Nicki joins you for lunch so this is your opportunity to pick her brains and ask questions which apply to your own garden. Can’t make this date? Contact us to register your interest! Our most comprehensive workshop covering all the fundamentals of growing nutrient dense healthy veggies. Nurture your passion for gardening on this one day course with our resident gardener, Nicki Murray-Orr. Nicki will teach you a comprehensive range of skills and techniques to get the most out of your veggie gardens. She covers the basics of soil health, planting from seed, pest management, crop rotation, composting and worm farms leaving you brimming with inspiration and practical knowledge. 10am – 11am Gather around in the rustic Bistro Barn for the first workshop session which will cover soil health and planting from seed. 11am – 11.30am Head over to the Falls Retreat glass house for an interactive session – here you get to see behind the scenes and have a hands on experience with planting seedlings. 11.30am – 1pm Lunch consisting of delicious wood fired pizzas and fresh salads using produce harvested from the gardens, plus a drink to accompany your meal. Nicki joins you for lunch so this is your opportunity to pick her brains and ask questions which apply to your own garden. 1pm –2pm Nicki will teach you all you need to know on composting and worm farms, pest management and crop rotation. 2-3pm Head into the Falls Retreat kitchen veggie gardens to visit our compost and worm farm. See first hand the elements of good garden design, companion planting and crop rotation and learn how these can be applied at home. If you are unable to make these dates, you can still register your interest! Are you a foodie, a gardener or someone interested in paddock to plate ethos - then this experience is for you. 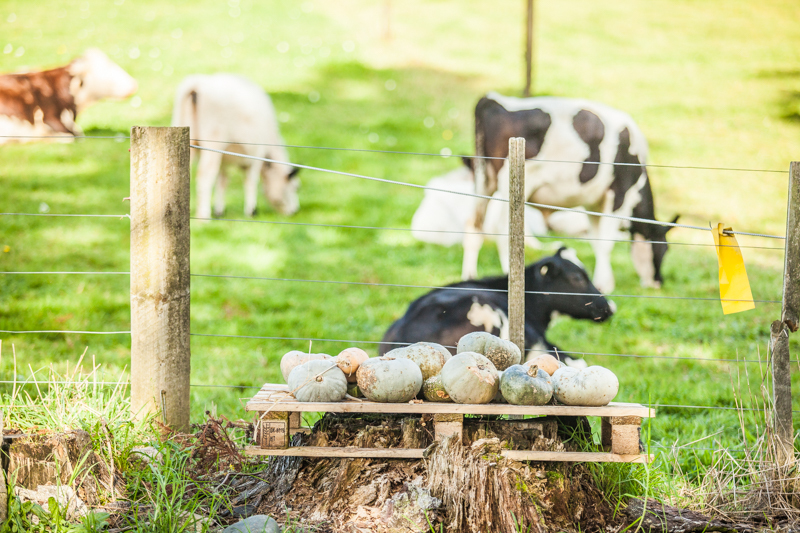 We are offering you the chance to enjoy a personalised “paddock to plate” experience in our kitchen veggie gardens with the opportunity to gather and taste ingredients and learn how we use a variety of fresh seasonal produce harvested from our gardens. Come and enjoy this complete foodie experience including morning tea on arrival, followed by this personalised garden experience and completed by a delicious 3 course seasonal lunch in the rustic bistro barn which includes our housemade soda. This is a unique experience for those passionate about food! Don't miss out on this opportunity - bookings essential. Start time 10.30am - available on request. Introductions and morning tea consisting of either Tea Total loose leaf tea or Rocket coffee and treats from the kitchen. 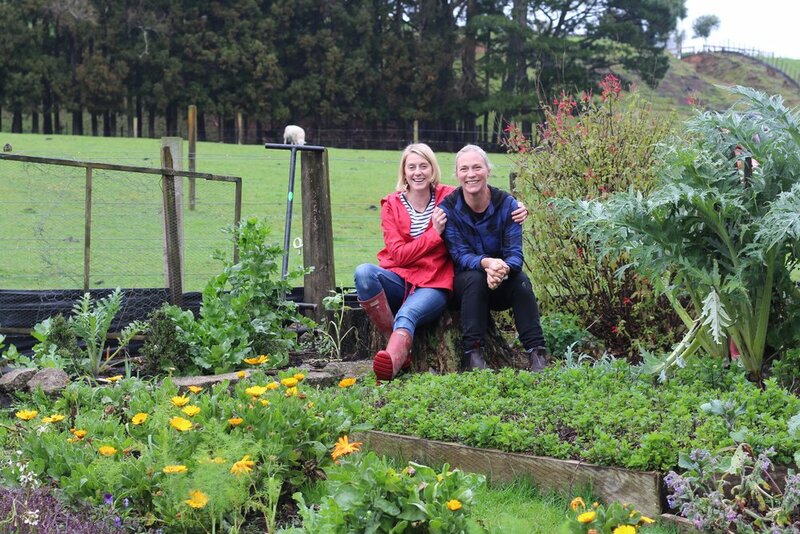 Personalised “Paddock to Plate” garden experience which involves identifying and tasting produce grown in the kitchen veggie gardens. Learn how we use seasonal ingredients in the Bistro and operate our business sustainably. Lunch in the rustic Bistro Barn is a 3 X course meal with paddock to plate menu focusing on seasonal home grown ingredients. This consists of delicious sharing entrees followed by choice of pork, lamb, fish or vegetarian for mains and delicious dessert to finish.